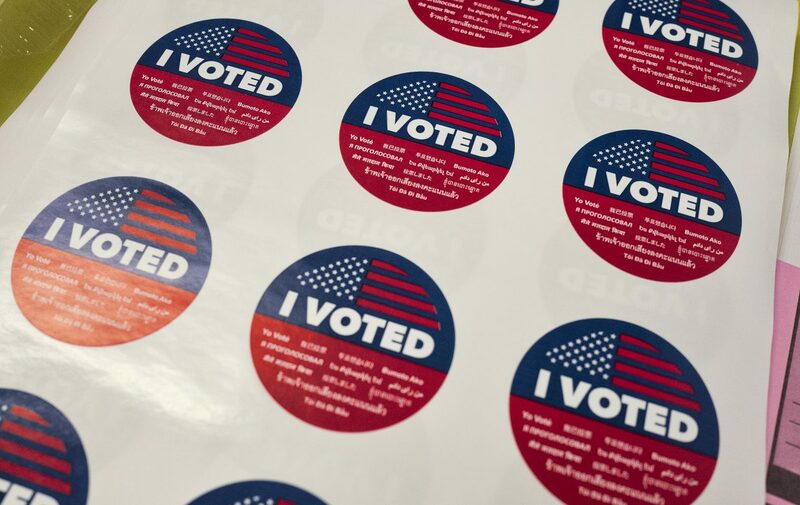 "I Voted" stickers wait for voters at a polling station inside the library at Robert F. Kennedy Elementary School in Los Angeles on Tuesday, June 5, 2018. Voters are casting ballots in California's primary election, setting the stage for November races. SACRAMENTO, Calif. — Victors emerged in some down-ballot statewide races while other contests remained close Wednesday in California’s primary elections. 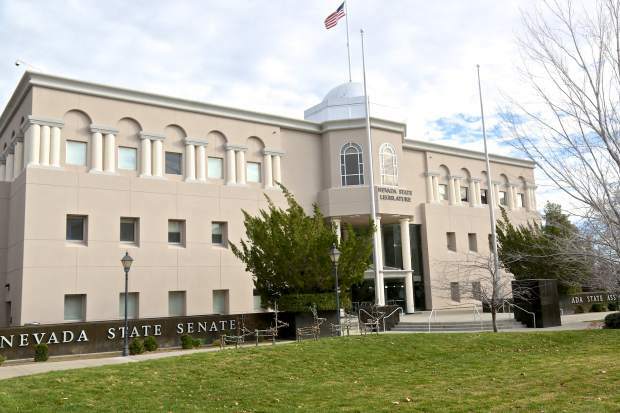 Winners still had not been declared in Tuesday’s races for superintendent of public instruction and lieutenant governor, where candidates spent big to get their names in front of voters. 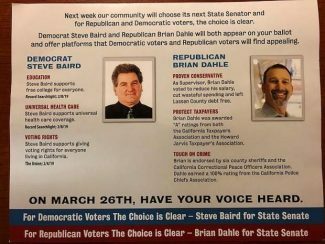 Early returns in the treasurer’s race indicated the general election will pit a Democrat against a Republican, an outcome that isn’t guaranteed under California’s primary rules that advance the top two vote getters regardless of party. Roughly 2.5 million votes had been counted in each of those five races early Wednesday. Because so many ballots in California are cast by mail, a significant percentage of votes weren’t yet counted and the winners of close races might not be called for weeks. Early returns Tuesday night showed former Los Angeles schools executive Marshall Tuck and Assemblyman Tony Thurmond leading in the nonpartisan superintendent of public instruction race. Tuck was in first with 37 percent of early returns and Thurmond in second with 33 percent. The race to become the state’s top education official has become a proxy battle in a larger fight over how best to improve California schools. On one side of the debate are powerful teachers unions, who are backing Thurmond. On the other are wealthy charter school and education reform proponents, who are supporting Tuck. Thurmond has stressed opposing the Trump administration’s agenda, including proposals to transfer money from traditional public schools to charter schools. His top donors are teachers unions and labor groups. The race is the only statewide contest that could be decided Tuesday. Because the contest is nonpartisan, if any candidate wins more than 50 percent of the primary election vote he or she will win the race outright. Otherwise, the top two candidates advance to the November general election. Early returns showed Democrats Eleni Kounalakis and Ed Hernandez leading a crowded pack of candidates in the race to become California’s next lieutenant governor. Republican Cole Harris was close behind in third place. Democrat Fiona Ma finished first in the race to replace outgoing Treasurer John Chiang, guaranteeing she’ll advance to the November general election. The treasurer manages the state’s money and sits on the boards of California’s public employee pension funds. Democratic Secretary of State Alex Padilla won first place in his re-election bid, guaranteeing he’ll advance to the November election. He’ll face Republican attorney Mark Meuser, who came in second. Padilla has emphasized his record of sparring with President Donald Trump. He often denounces the president’s unsubstantiated claims of widespread voter fraud in California. Padilla also refused to comply with the Trump administration’s requests to provide data on California voters, arguing it was politically motivated. 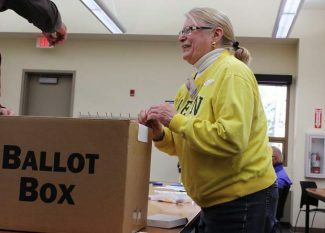 Meuser is running on a platform of purging voter rolls of people who have moved or died and conducting audits to ensure ineligible people aren’t registered to vote. The California controller serves as the state’s top accountant and audits various state programs. She sits on several state boards and the State Lands Commission.